The Key Safe Company, the market leader of mechanical security access products, has revolutionised the way in which people can access properties safely and securely. 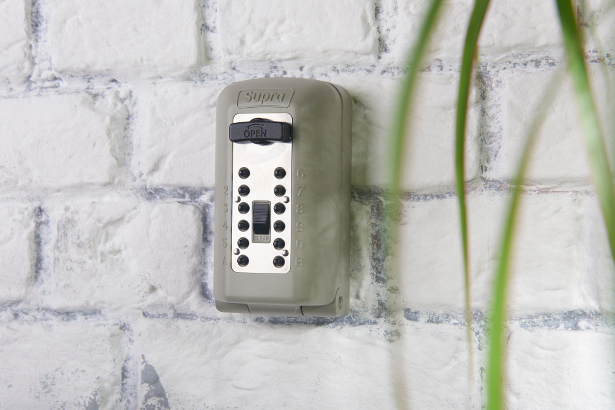 Its leading Supra C500 is a locked metal box, which provides a secure method of externally storing keys to the exterior of a property. The Supra C500 can hold up to five keys and is secured with a single code mechanical locking system, and the code can be changed at any time. The product offers peace of mind for homeowners in a variety of circumstances. As the UK’s first mechanical LPS Police accredited key safe the Supra C500 has an accredited certification from The Loss Prevention Certification Board (LPCB), the leading international Certification Body in the fields of security and fire protection. Recognised by Secured By Design, as well as leading home insurance companies, the product has undergone rigorous tests devised by security experts to demonstrate a comparable attack resistance to a front door. For more information about the Supra C500 visit www.keysafe.co.uk.